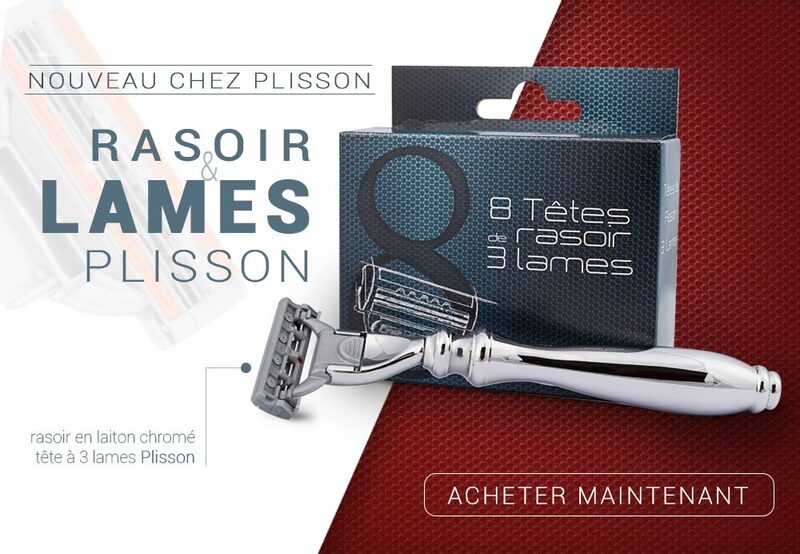 plisson shaving cream offered ! 100 ml of concentrated shaving cream to use WITH or WITHOUT badger. Delicate fragrance and soberly dosed. Due to its concentration, this cream requires only very fine emulsion to be effective. Shaving bowl in Limoges porcelain with a wooden lid, and garnished with Plisson soap. Made in France. Stand for the shaving brush comes in black plexiglass, ideal for brushes in size 8 to size 14. Can be set upright or attached to the wall. Hand made in France. Stand for the shaving brush comes in cristal plexiglass, ideal for brushes in size 8 to size 14. Can be set upright or attached to the wall. Hand made in France.